A “baffled” and ‘frustrated’ Lorraine Kelly has been convincingly cleared of IR35, by judges who seem to share the TV star’s annoyed puzzlement at HMRC chasing her for £1.2million under the rule. In fact, two FTT judges say the level of ‘Control’ that Ms Kelly’s client ITV exerted was “far substantially below” the level required to deem her an employee or caught by the Intermediaries legislation. In their First Tier Tribunal verdict of Albatel Ltd (-- Ms Kelly’s PSC), Vs HMRC, the judges also outline that despite less determinative IR35 status factors being present and potentially influential, such factors lack clout as the case is not "borderline". So the Revenue was not even near to successfully demonstrating to the judges that Ms Kelly was inside IR35. Moreover, the 59-year-old TV host incurred ‘Financial Risk,’ and demonstrated ‘Being in Business on one’s own Account,’ due to a “variety” of clients and her Lorraine TV show casting her as a brand in her own right. In addition, she received no ITV employee perks like sick pay, holiday pay, maternity leave, pension entitlement; training or appraisals. To some experts on IR35, it is mystifying why HMRC brought the case in the first place. It also seems to puzzle Ms Kelly herself, who the court heard is “baffled” why HMRC fought her claim to be an ‘entertainer’ (a deduction is allowed from earnings from an employment as an entertainer for agency fees, and the FTT was asked to rule on this deduction, adjacent to IR35). But it’s not entirely out of character for HMRC to have brought the case. “In IR35 investigation cases we see this approach from HMRC all the time,” status advisory Bauer & Cottrell told ContractorUK, referring to HMRC’s focus on contractual terms over the working reality. A similar charge against HMRC was made in the Christa Ackroyd case, where HMRC was accused of pursuing not just a high pay-out, but also a high-profile personality who officials wanted to ‘make an example’ of with IR35. The same has been mooted of the Revenue’s IR35 pursuit of news and current affairs presenter Eamonn Holmes. But it was the Ackroyd case which was quoted at Ms Kelly’s hearing, in an attempt by the Revenue to present her as caught by IR35 on the grounds of control. In particular, like the Look North presenter, Ms Kelly was “more than just a newsreader and had a high degree of autonomy [but] nevertheless…the [engager] retained the contractual right of control, consistent with employment,” HMRC argued. Another previous IR35 case, Jensal Software Ltd, also had echoes in Albatel Ltd V HMRC because like Jensal’s boss Ian Wells, Ms Kelly was in effect accused by HMRC of being too IR35-savvy. The judges disagreed. “We do not accept the criticisms [from HMRC] of Ms Kelly… [that she was] seeking to avoid giving answers detrimental to [her] case. The judges further disagreed with HMRC on control, saying it was not just the “practical realties of a live broadcast” that meant Ms Kelly was the decider of what words she would say, as the Revenue insisted. She did her own prep and research; chose what guests to interview; which running order to set; when to overrun or cut short, when to make script changes, and even, whom she wanted as her co-presenter. A second stab at the ‘control’ argument was made by HMRC, this time hinging on Ms Kelly having to reflect standards laid down by broadcasting regulator Ofcom. “Again, we see this all the time by HMRC in other [IR35] cases,” says Bauer & Cottrell's co-founder Kate Cottrell..
To find out ‘how things were done’ in relation to Ms Kelly’s engagement with ITV, HMRC could have called witnesses to give evidence. But it failed to, preferring paperwork instead. If HMRC had called witnesses, it would have learnt that despite Ms Kelly’s contract giving ITV “the right to edit, copy, alter add to and take from the product” of her work,” the broadcaster never did. Last night, Brookson Legal Services said control was the deciding factor. “Lorraine Kelly has won this case because HMRC wasn’t able to prove that ITV was controlling her as if she were an employee." The legal firm is not alone in picking up on the appearance of an IR35 knowledge gap at HMRC – which, out of the last 12 IR35 cases, has lost a total of nine, ‘drawn’ two but won only one. Contractor body IPSE said: “Lorraine Kelly’s case is the fourth of five IR35 cases that HMRC have lost since 2018. Meanwhile, a chartered accountant told ContractorUK: “With Larkstar and JLJ effectively being recent draws between HMRC and the taxpayer, and the only clear win for HMRC [the Ackroyd case] being under appeal, serious questions should now be asked about HMRC’s track record on IR35 cases. According to the judgment, the Daybreak and Lorraine presenter is not only clearly outside IR35, she is also entitled to deduct from her tax bill the fees she paid to her agency. The Revenue challenged this too. The Revenue’s initially issued tax determinations were also grossly inaccurate which caused further significant anxiety, Ms Kelly said. 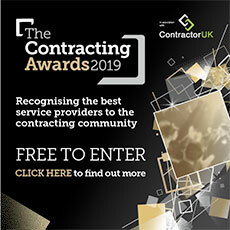 The Freelancer and Contractor Services Association reflected: "It is essential that HMRC does not penalise everyone working through PSCs in a blanket fashion, as they bring much-needed flexibility to both the freelancer and businesses that engage them on a short-term basis." “It’s an embarrassing public defeat for HMRC,” agreed Vicky Roythorne, head of compliance at IT contractor recruitment agency Outsource UK. “[But it] showcases that with the correct working practices in place, it is entirely possible, and compliant, to provide services via a limited company, outside IR35. “Lorraine was able to demonstrate that she didn’t receive any of the same employee benefits as permanent ITV staff, that she controlled her own work and chose what she wanted to do and when, and that by engaging her ITV were hiring a genuine freelancer, who is able to provide a specific service”. As a result, the recruiter believes the case will inspire the private sector preparing for IR35 reforms from April 2020, because it highlights what engaging PSCs compliantly looks like. Ms Cottrell, a former IR35 inspector who used to work at the tax authority, confirmed that the case does hold implications for next April's rollout. “For contractors it is absolutely vital that the right person at the end-client comments on the day-to-day working practice. “This is a fundamental point in IR35 cases. This point is extremely important for those currently in the public sector, and for any assessment that will be made under the proposed new rules for the private sector,” she said.